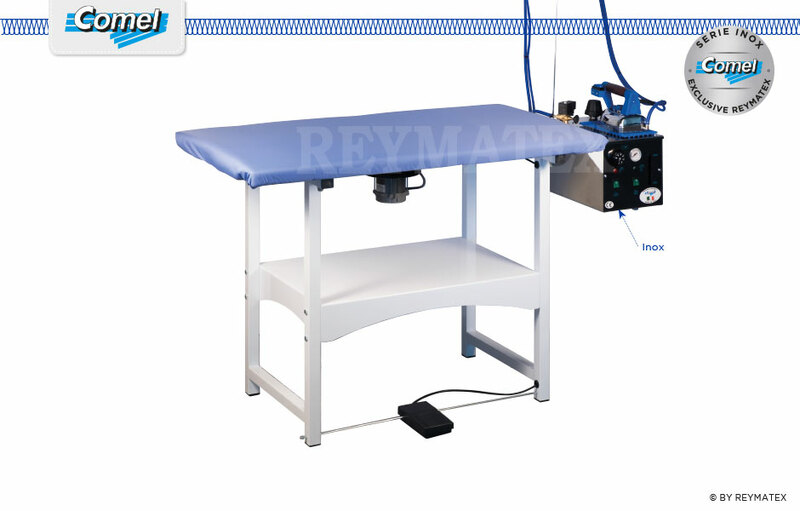 Rectangular steam ironing table with fan for steam suction, heated ironing surface with 5 liters capacity boiler and hand iron with wooden handle. Ironing board sizes: 115×62 cm. It guarantees an impeccable ironing on all types of fabrics. The boiler is made of an inox covering who prevents oxidation. Arm with holder for FUTURA-RA ironing tables.